Marks & Spencer holds a special place in most British peoples' hearts. Whether you head to the high-street megalith to buy your underwear, workwear, dinner or Percy Pigs supply, almost everyone turns to the British institution on a regular (if not daily) basis. Over the past few years, M&S has upped its fashion offering. You'll know this from its many It items that have taken off over the seasons, like the famous suede pencil skirt, pink coat or this year's runaway success: the polka-dot jumpsuit. 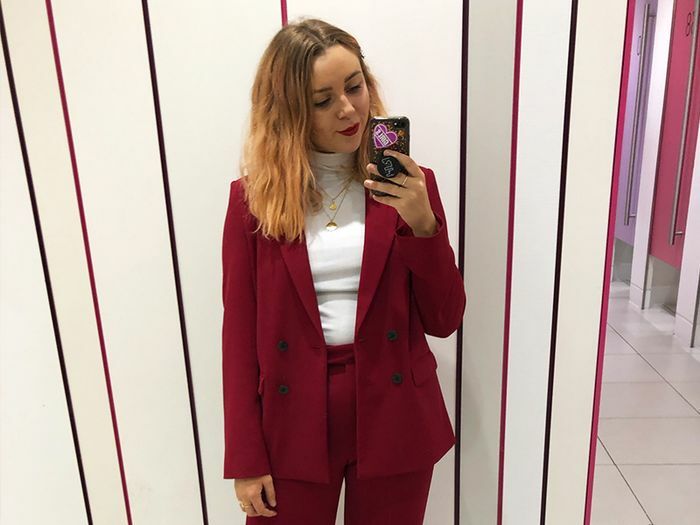 More recently, M&S has been working with daytime-TV darling Holly Willoughby—calling upon the chic presenter to create her edit of must-haves so that anyone and everyone can get dressed like one of the most admired ladies on our screens. It has proven to be a very good call for the brand, as its now able to cut down the vast selection available into a more fashion-forward edit. I couldn't resist the camel trouser suit that was part of her range (as you can see). Marks & Spencer has been nailing leopard print lately—particularly in darker, more wintry shades. Whether it’s a cosy knit, midi dress or blouse, M&S has it covered. I always trust M&S for good-quality cashmere that is also machine washable. Top tip: I also head to the men's section as I prefer the looser fit. I love M&S tailoring right now. 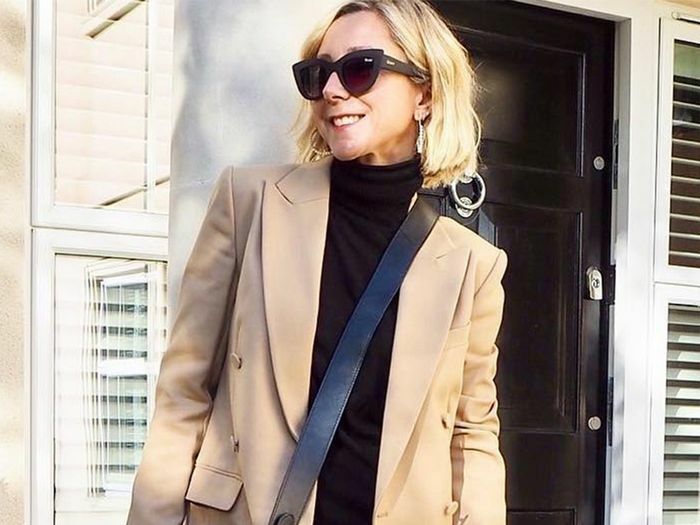 I’ve got a camel suit that's perfect for meetings, but I’ve also been dressing it down with a white tee and trainers. Size up in the blazer for an elevated look. Shop a similar stye below. These thermals see me through winter. I layer under graphic tees, cashmere, or dresses to stay warm and stylish. M&S has been my first port of call for years when it comes to buying quality, stylish leather pieces that don’t come with jumbo price tags. M&S's Brazilian knickers are my personal favourite and the comfiest. They're always usually on a three-for-two offer. I wear these with a T-shirt bra most days. Next up, see Emma Spedding's guide to shopping H&M.